Just how much piracy is out there, anyway? Virgin Media has indicated it is to start using CView technology to gain an idea of how much pirated material is passed around online. 1.6 million Virgin customers will be part of the trial. 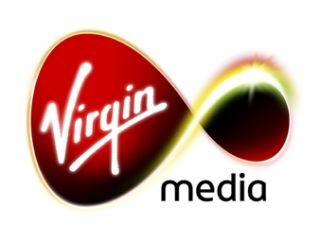 As we reported last month, the trial isn't intended to identify culprits – and Virgin Media insists it will stay this way – but simply to gather data to gauge the size of the piracy problem. CView is made by Detica, a subsidiary of weapons maker BAE Systems, and is also used for Homeland security issues. It will work for Virgin by filtering through data packets and checking for the data signature from the main file-sharing protocols. Whenever CView finds a match, it will pull the code identifying the packet's contents, copy it, and match it with a database to determine whether it violates any music copyrights. The results will let Virgin see just how many copyright violations are happening, and also determine the most-pirated music. None of the data packets will have IP addresses, so users will remain anonymous, and no humans will see the data. But on forums some Virgin customers are expressing concern that in time the technology could be used to identify those using torrents or block content. Richard Clayton, of the security lab at the University of Cambridge, was certainly guarded about that possibility, which would only require a slight tweak to the software. On the Light Blue Touchpaper blog he wrote: "Applying to the courts for an injunction to require these tweaks be made does not seem out-of-line with other media industry legal initiatives in Belgium and Ireland. It's hard to say whether such an injunction would be granted in the UK, and the media industries have no previous signs of taking this route here."